My day out at Edinburgh was interesting. The old place has changed so much. 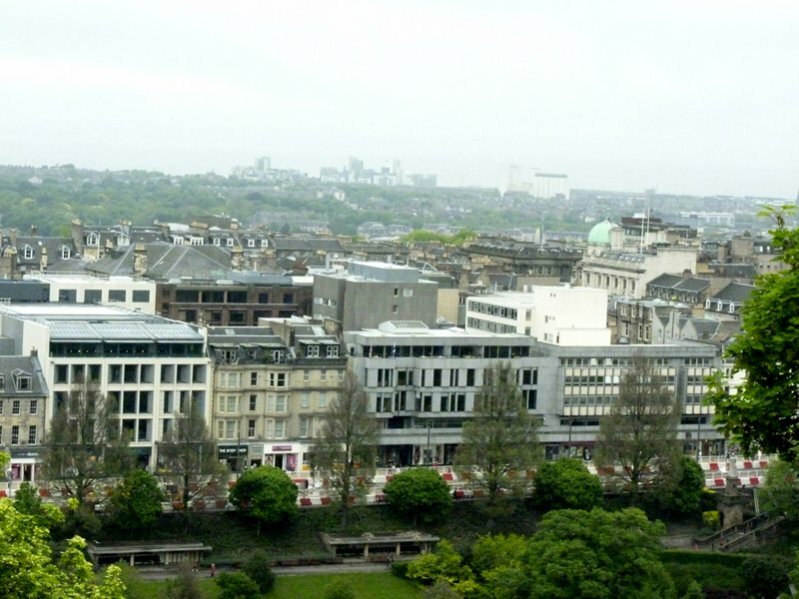 I spent many, many happy times in Edinburgh as a child and into my adult , we had family there, but now it is mostly modernised. Princess Street for example is mostly modern shops unlike the old Scottish shops where you could buy real Scottish tartan and where the Queen once shopped, now it is mostly fashion shops. 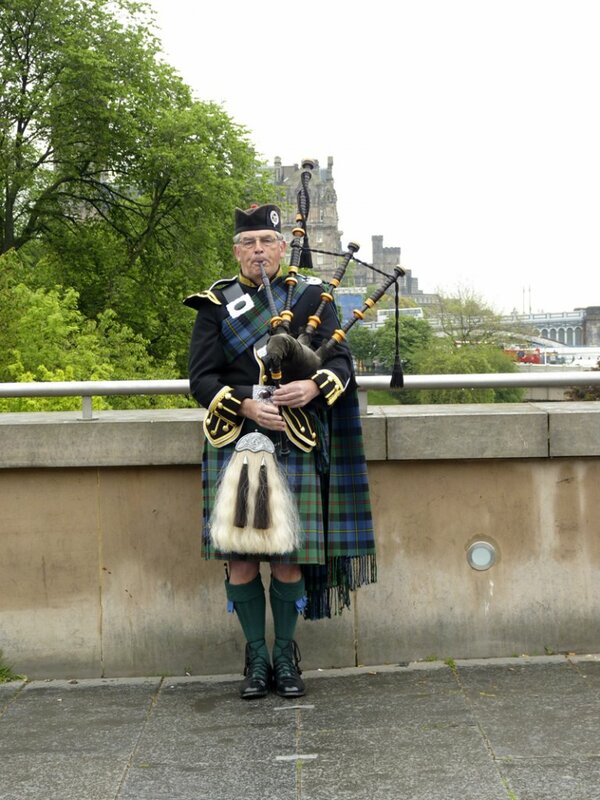 As you guessed i haven't been to Edinburgh for some years. The day was overcast and cloudy with rain so photography was limited. I usually take an umbrella and get my daughter to hold it over me so can still take photos but i forgot the it that day. I need practise taking shots inside a museum and through glass so any advice is welcome. I had to use 1600 ISO so my shots are grainy. I also forgot to change the ISO setting back again so lost some shots, my memory is terrible now, lol. 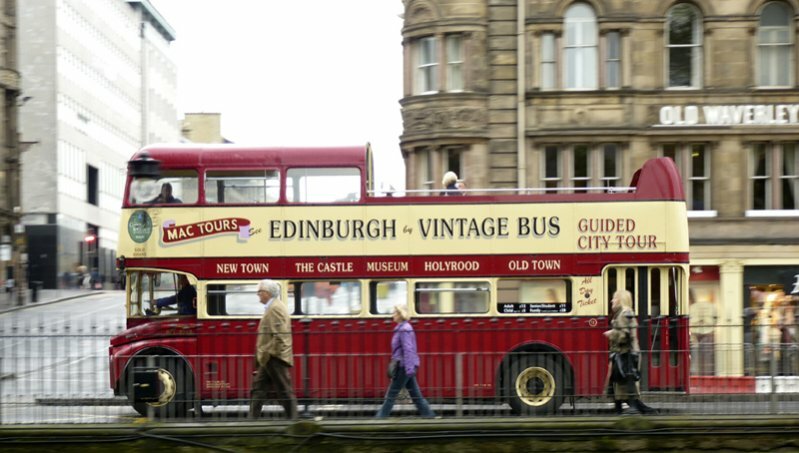 For those of you who haven't been to Edinburgh i have chosen some of the most favoured tourist shots for you. 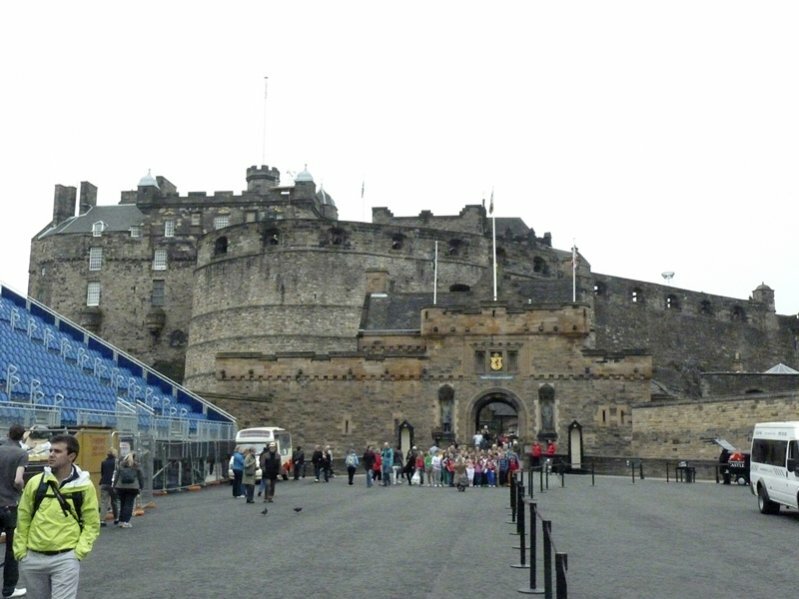 First shot is Edinburgh Castle from the parade ground. Second shot is looking east taken high up from the castle walls looking over Leith to the sea, although you cannot see the sea because of rain. The red and white patches are because the road on Princess Street is being renewed. The third one is the tour bus. I took this as it was moving as i only just caught sight of it. The fourth needs no explanation and the last one is of Gray Frier's Bobby which was made into a film. Not the best day for photography but i got some shots. Hope you enjoy and comments welcome as always for improvements. I was very fortunate to visit this lovely city many years ago. It's sad that the quaint old shops are no longer there. I purchased a beautiful pure wool skirt, and a tam, in one of those shops. Your photos are great, thanks for bringing a wonderful memory back! Thanks for your comments but please don't get me wrong about the shops. 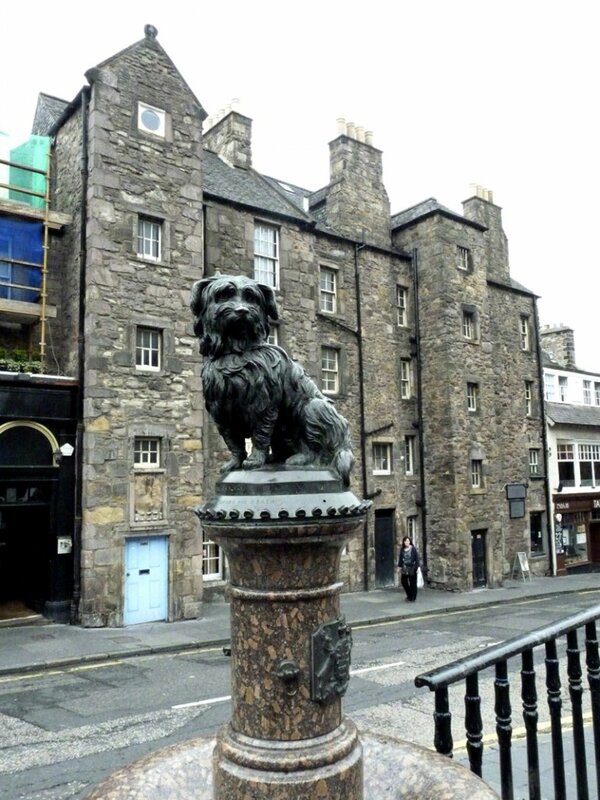 There are still lots of little shops on the Royal Mile and side streets that sell such things, lots of them. I was refereing to Princess Street itself which is more modern now and mainly, but not all, fashion shops. I am very pleased to have brought back happy memories though. Looks like you had a fun day Eysha. My favorite is #3. I think most of these shots would benefit from a little straightening and you might get some hits about how not to blow out the sky in this thread. Thanks JJ, it was hard ont he feet walking from 9am until 6pm with only two short stops for food. The sky was an awful grey colour with rain but i get yoru point. Thanks for the link, will read with interest and i am not good at PPing, lol. as you see. I like the last shot of the statue very much. That is so interesting, there is almost an exact same story and a statue in Tokyo where I am from originally. Hachiko went to the train station everyday to greet his master for nearly 10 years after he died. What royal companions they are! Saly, i am very aware of the Hachiko story as i watched it with great interest on TV. There is a connection and i am sure that other countries can identify with these two wonderful dogs and have stories of their own to tell. I did try to take photos in the museum of their collection of Netsuke, which i have a great interest in and of which i know you will know about. Many thanks for taking the time to comment, comments are alway appreciated.